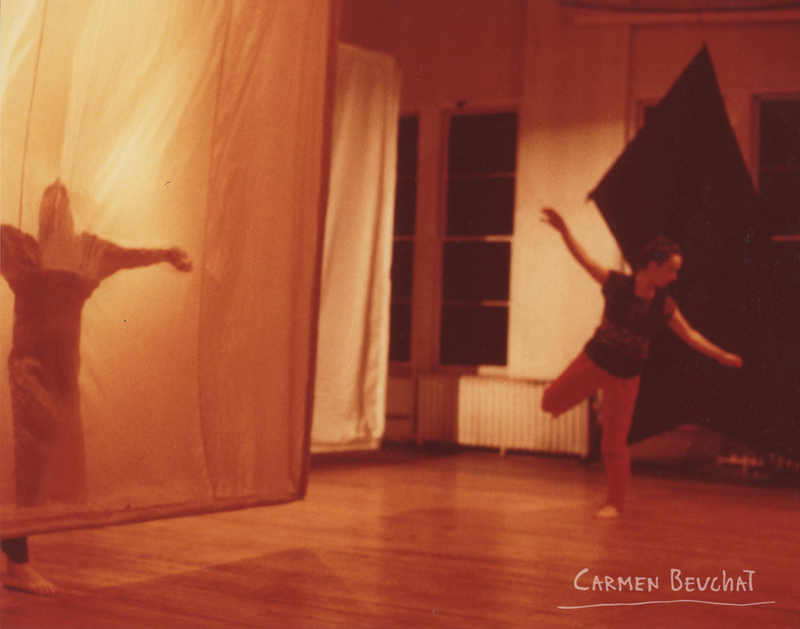 A foundational figure in postmodern dance, Carmen Beuchat (b. Santiago, 1941) formed her own company in Santiago before moving to New York in the late 1960s, where she participated in Trisha Brown’s company and collaborated with artists such as Juan Downey and Gordon Matta-Clark. In 1977 Beuchat returned to Chile to present her own choreography. Amidst authoritarian rule, she staged the country’s first workshop in Contact Improvisation, a technique which championed nonhierarchical values such as freedom of movement and the equality of all bodies.